We received an email through our free recovery service where a land owner’s daughter’s horse was badly injured by something sharp in their field. The horse had a very bad deep cut hoof and needed urgent treatment. (The horse is now in full recovery). He asked if it would be possible to scan an area where he thinks it happened and try to remove the offending hazard. I phoned him and said "sure were happy to help and would arrange a few of our club members to come down and have a look for you". We had 8 members volunteer to help on the day. Well yesterday some of us travelled over 2 hours drive to the location. We met the landowner and his family and he showed us where to search. It was a 4 acre field and he said once you have done what you can in this area feel free to carry on detecting the rest of the land it would be nice to see what else turns up. 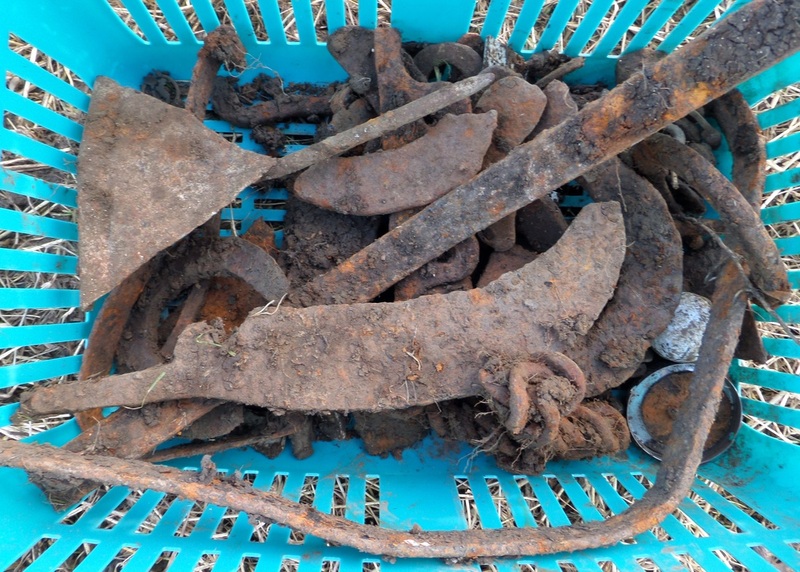 So off we went and within seconds of scanning and digging lots of Iron we have across a few nasty looking bits of sharp iron. After a couple of hours the land owner came back armed with a tray of tea and biscuits. He was very pleased with the amount of hazards that we had dug up. We had our tea and biscuits and carried on finding more iron etc. At lunch time the family all came over to see what was found and you could see the horror on their faces at the objects that could have hurt their horses. We had a good chat and they said we could try the other areas on the field. Well off we went and even though the rest of the field was very quiet we managed to find some interesting finds. I’ll post a couple of pictures at the end of the post. Well the day came to an end and the landowner was very chuffed at what we done and thanked us all and said your all welcome back anytime. 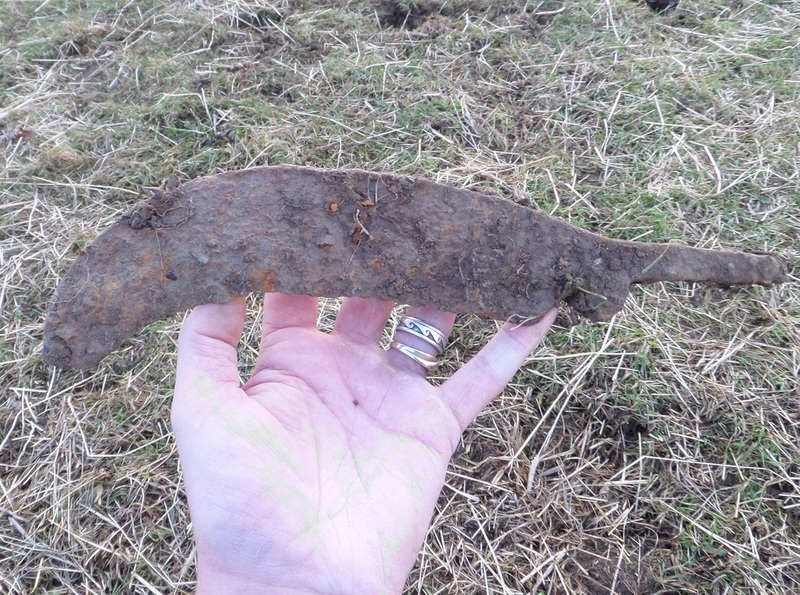 He wanted to keep all the iron to show his neighbours and other landowners what we found.